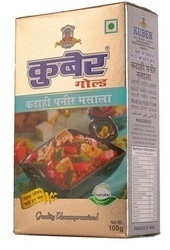 Banking on our enriched industry experience, we are able to supply Kadai Paneer Masala. Keeping in mind the emerging needs and requirements of our clients, our experts are engaged in offering an enormous range of Kadai Paneer Masala. 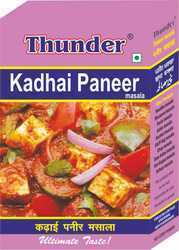 Kadai Paneer Masala is a mix of red chillies, fenugreek, coriander, onion, garlic and many other spices. It's used to cook the wok style paneer called Kadai/Kadhai Paneer.